Kevin Harvick® placed in the top 10 over the weekend. 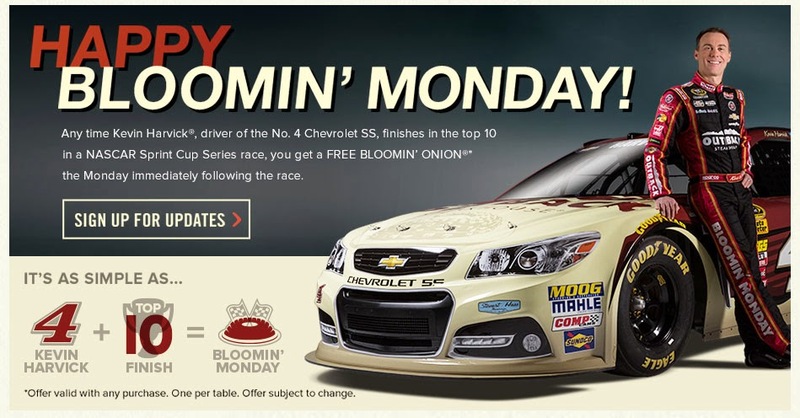 Celebrate on Monday, May 18th with a FREE Bloomin' Onion®. 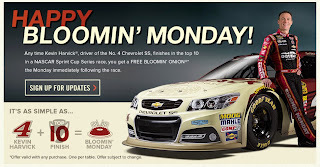 Just say "Bloomin' Monday™" to your server!